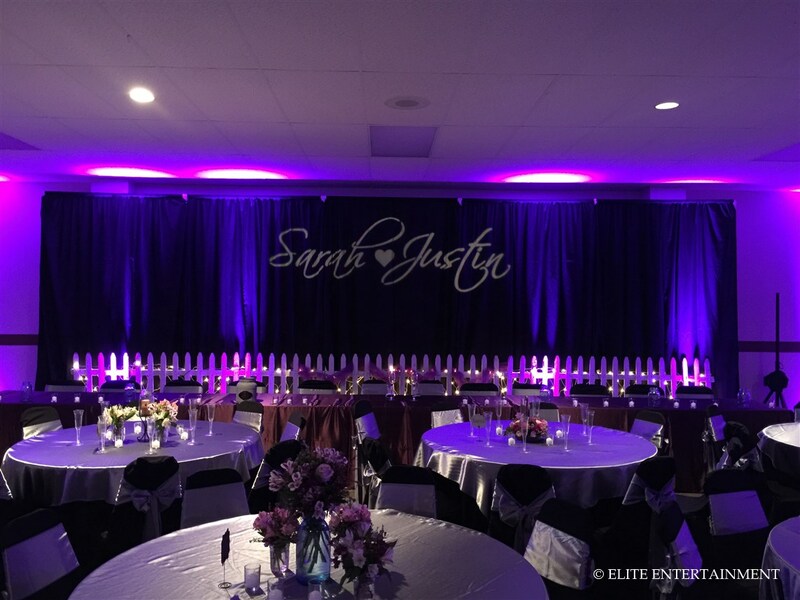 The look of the Danville KC hall was totally transformed for Sarah and Justin’s reception! 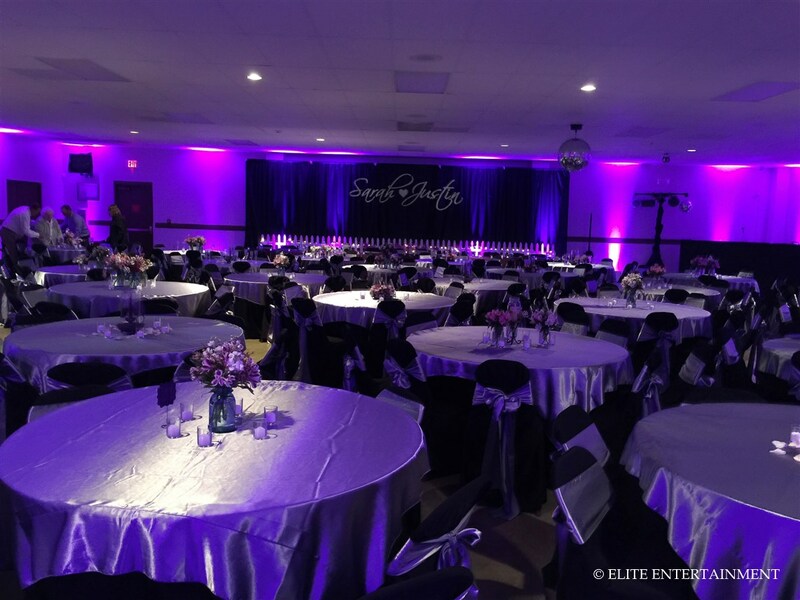 We used purple uplighting around the entire room. It added the perfect touch of color to the space! 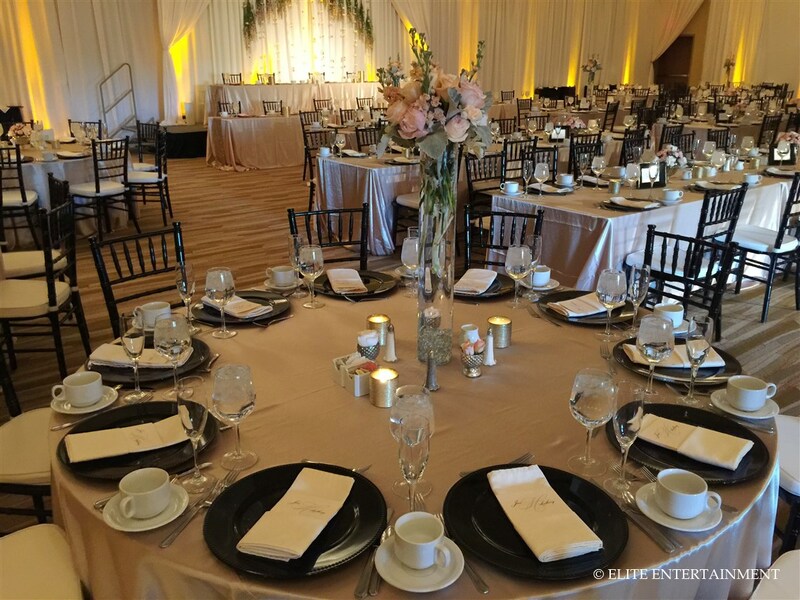 We used a black tablecloth with a silver satin overlay on each guest table. 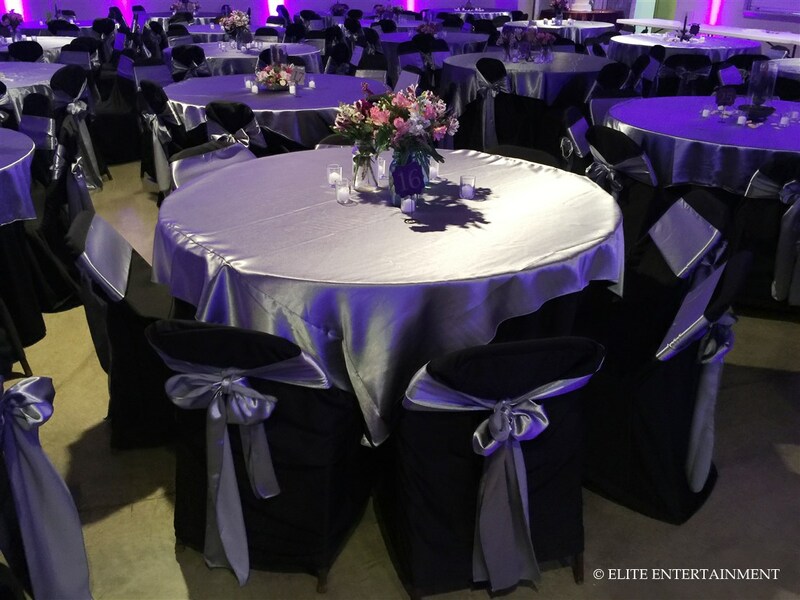 The black chair covers and silver satin sashes coordinated perfectly! To incorporate more purple into the room, we used plum linens for the head table and cake table. 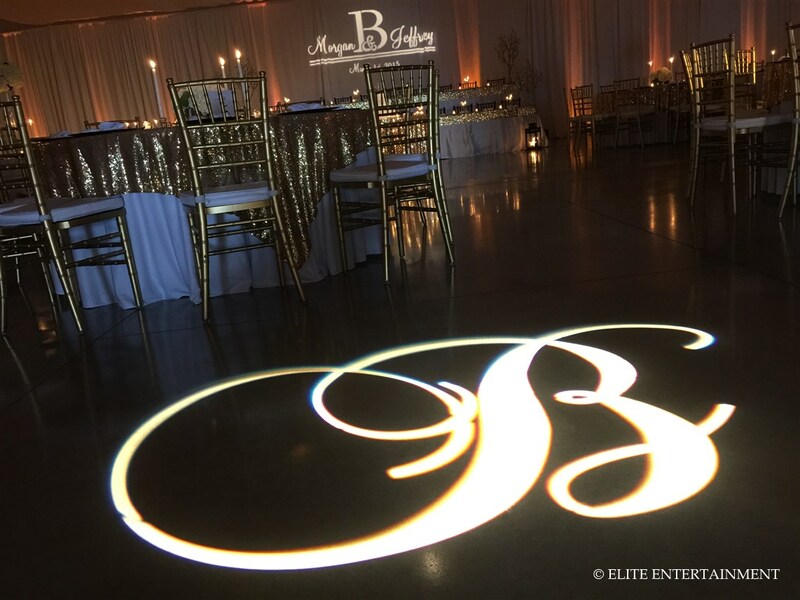 The custom monogram looked beautiful placed on the black backdrop. The white fence decor was such a cute touch! We enjoyed working with this couple throughout the entire planning process! We hope everyone had a great time in our Escalade limousine and dancing the night away to our DJ. Congratulations to the new Mr. and Mrs. Mournat! 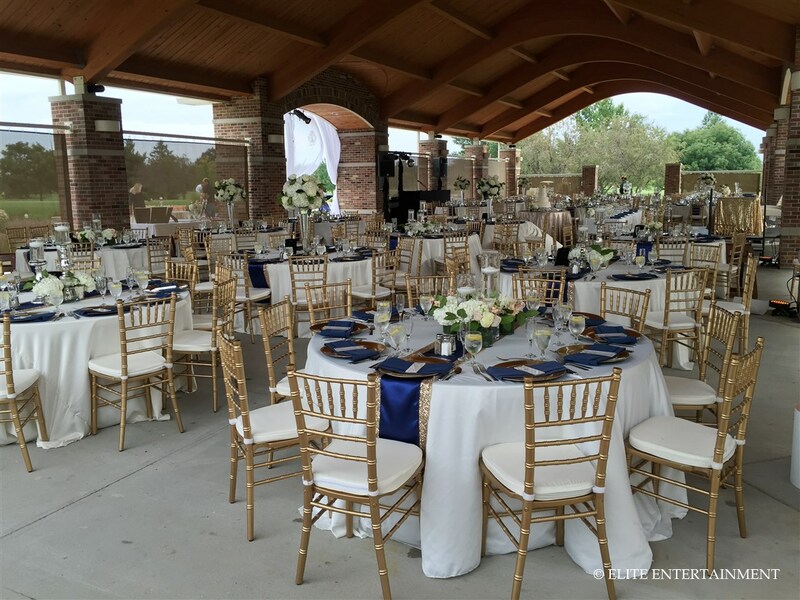 Paige and Kyle thought of every detail for their wedding reception at Hickory Point pavilion. 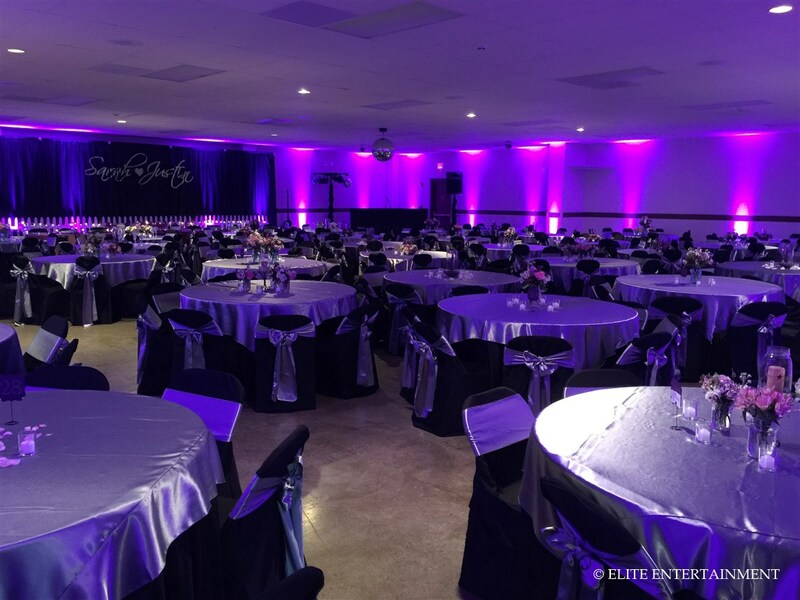 Jody Cox from An Affair to Remember brought the couples vision to life and did a wonderful job decorating the space. 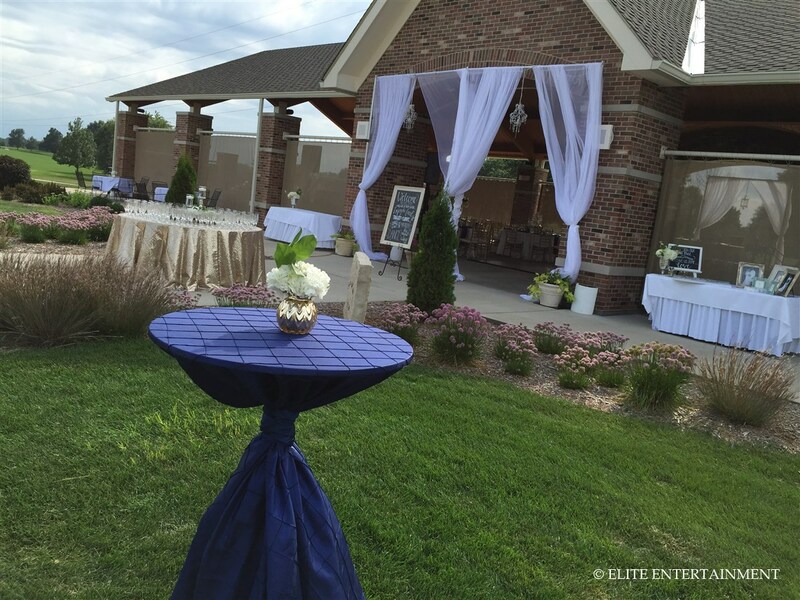 The weather was absolutely perfect for their outdoor celebration. Upon arriving to the reception, there was champagne waiting for everyone and cocktail tables outside so guests could enjoy the beautiful weather. The centerpieces were filled with soft ivory and blush flowers, which complimented the navy and gold decor throughout the space. 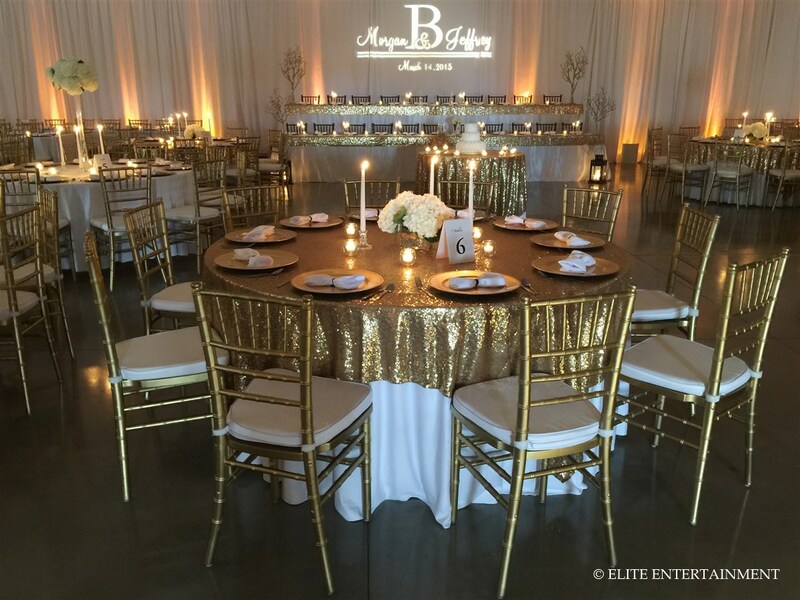 We provided the gold chiavari chairs and paired them with our gold charger plates. We love the favors left on each plate for the photo booth! Once the sun went down, the amber uplighting set the perfect tone. 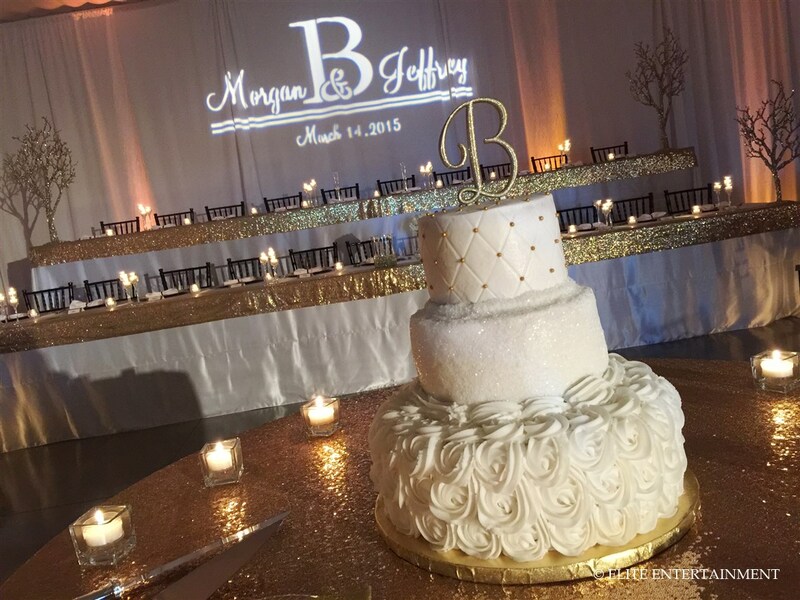 The monogram looked gorgeous in front of their cake and head table. We love the design they chose for their monogram! Ryan had a wonderful time DJing for the newlyweds! 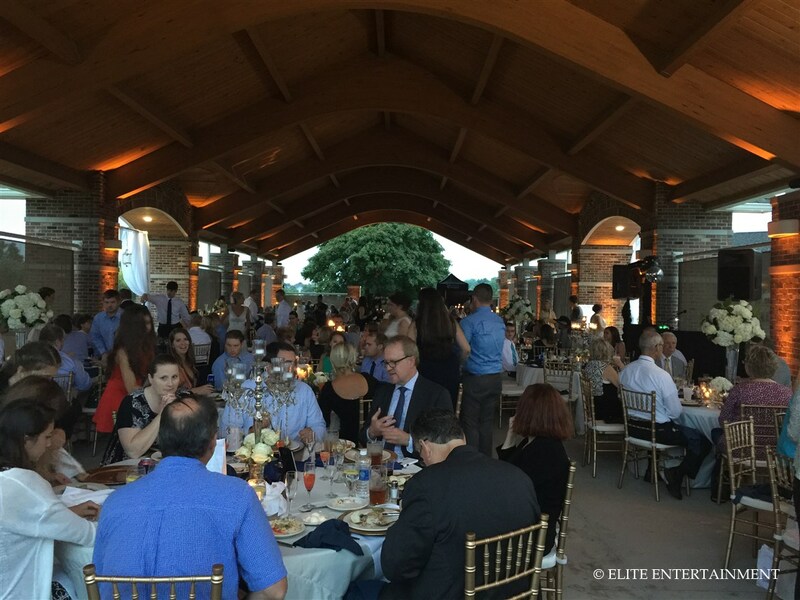 It was a great evening and we were so happy to be a part of it! Congratulations and best wishes on your new marriage! It was a perfect day for Nick and Jessica’s wedding! Nick DJ’s for us on the weekends, so we were excited to be a part of his special day. The Hyatt looked amazing decorated in silver, yellow and white. 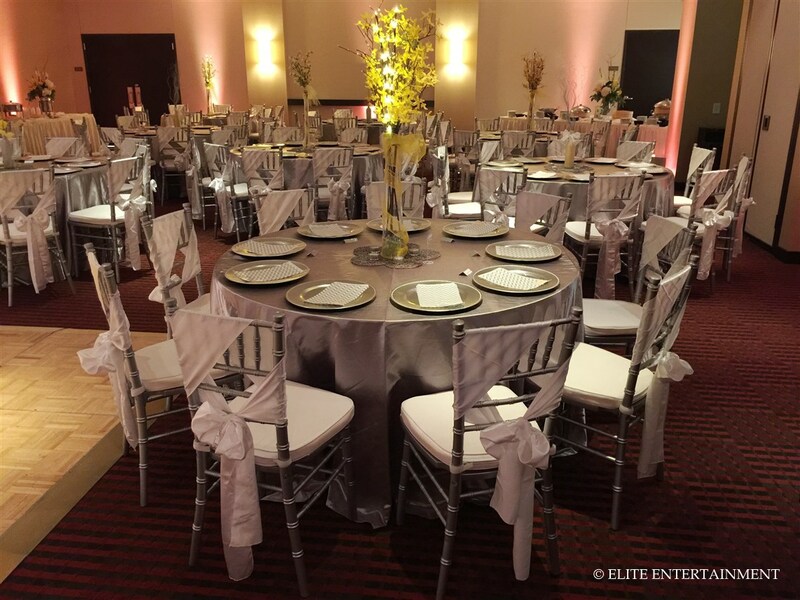 Their table setup included silver tablecloths, silver charger plates and silver chiavari chairs paired with a white diagonal bow. Their centerpieces added the perfect touch of yellow to each table. 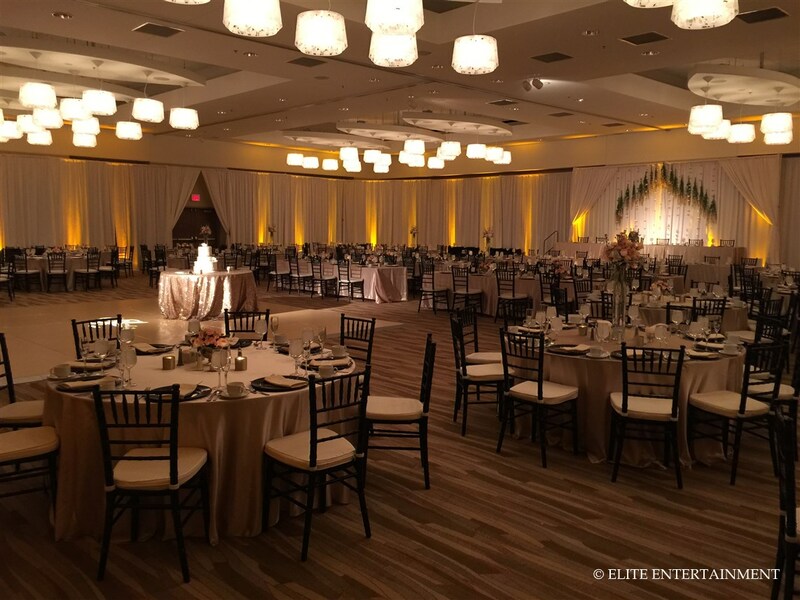 To incorporate more color and give the room a soft glow, we used yellow uplighting around the ballroom. 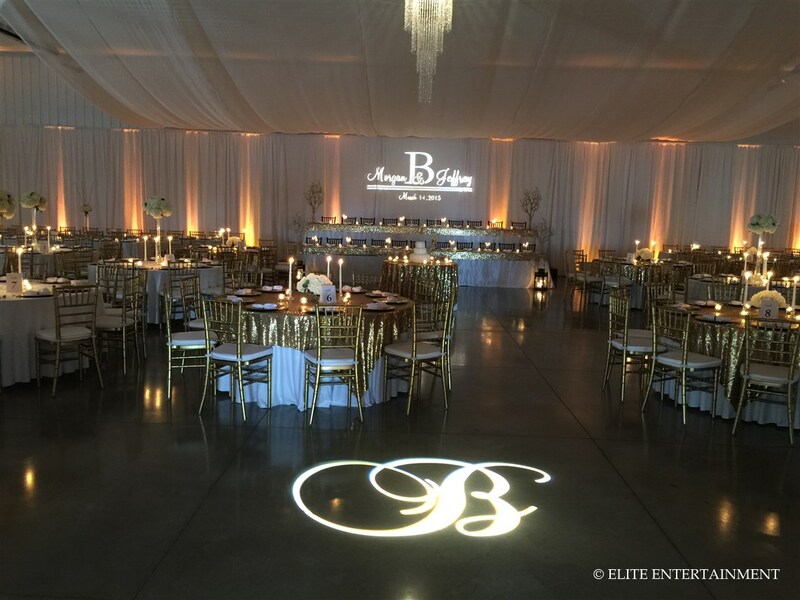 The monogram looked great placed on our white backdrop. I love these shots we got of their monogram and 5 tier wedding cake! We used a spotlight on the cake which made it the centerpiece of the room! Nick and Jessica’s guests had a great time in our photo booth and dancing the night away to our DJ! We loved how everything came together for their reception. We wish Nick and Jessica all the best in their new marriage! Congratulations newlyweds! Josh is our Director of Operations here at Elite, so we couldn’t wait to transform the reception space into something unforgettable! 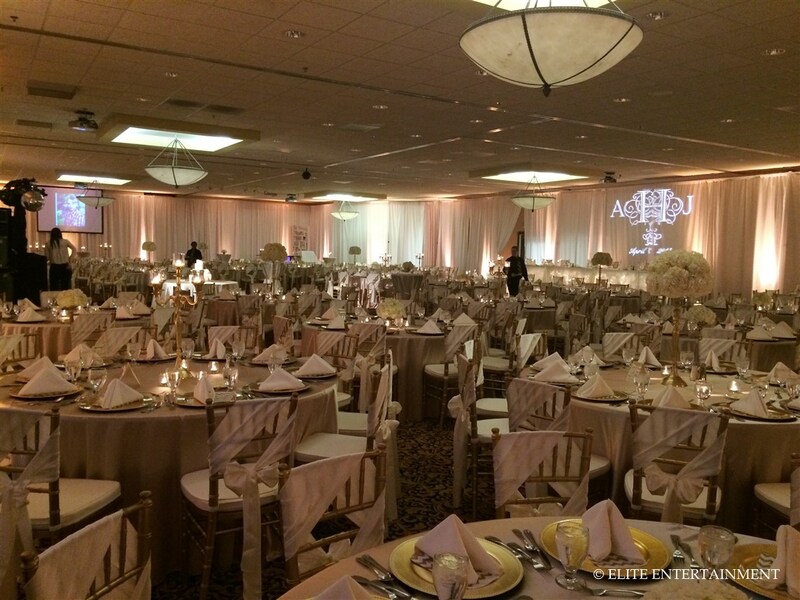 Amber and Josh held their reception in the Illini ballroom at the Hilton Garden Inn. 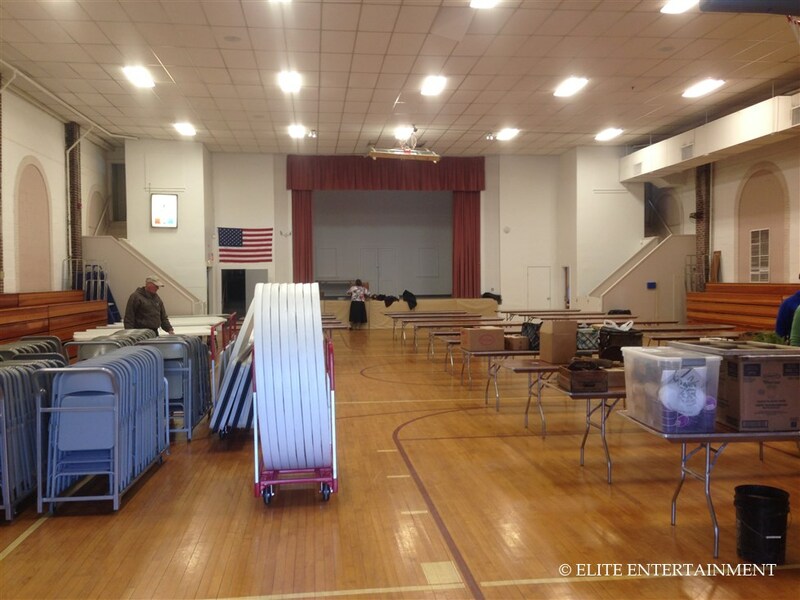 We draped the entire room and used amber uplights to accent their color scheme. 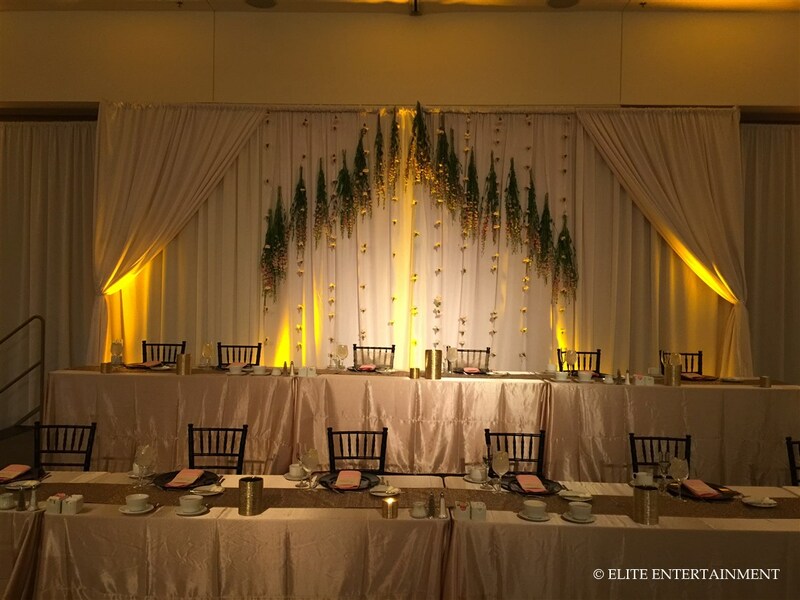 Along with the drapery and uplights, we used gold chiavari chairs and gold charger plates with champagne satin linens. 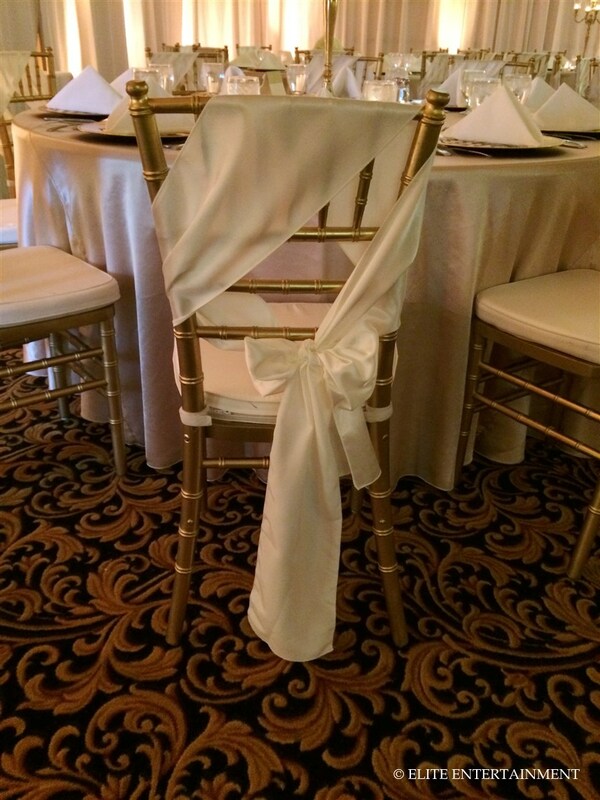 Each chair was accented with an ivory satin sash that we tied into a diagonal bow. This was such an elegant touch and added so much character! 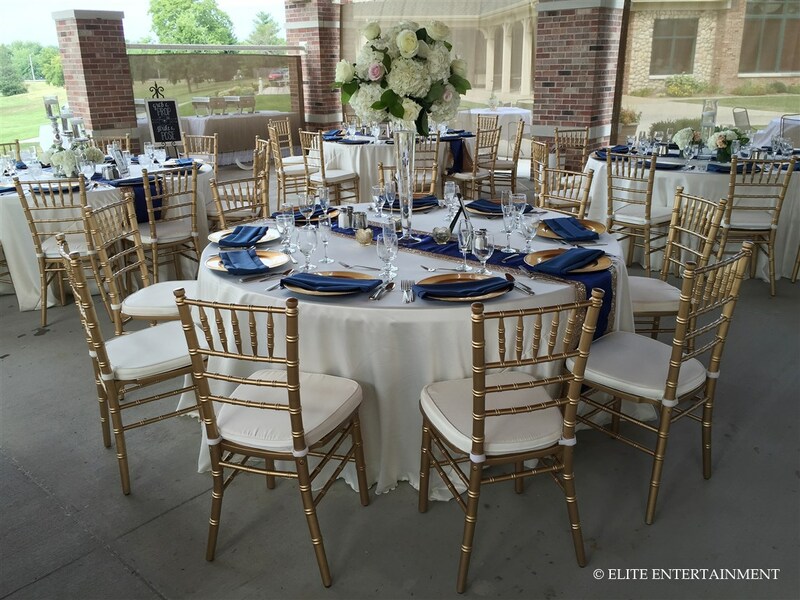 On each of the guest tables, they used a mixture of tall and short floral centerpieces and elegant candelabras. The flowers were provided by our in-house florist, Flowers by Kristine. She did an amazing job as always! 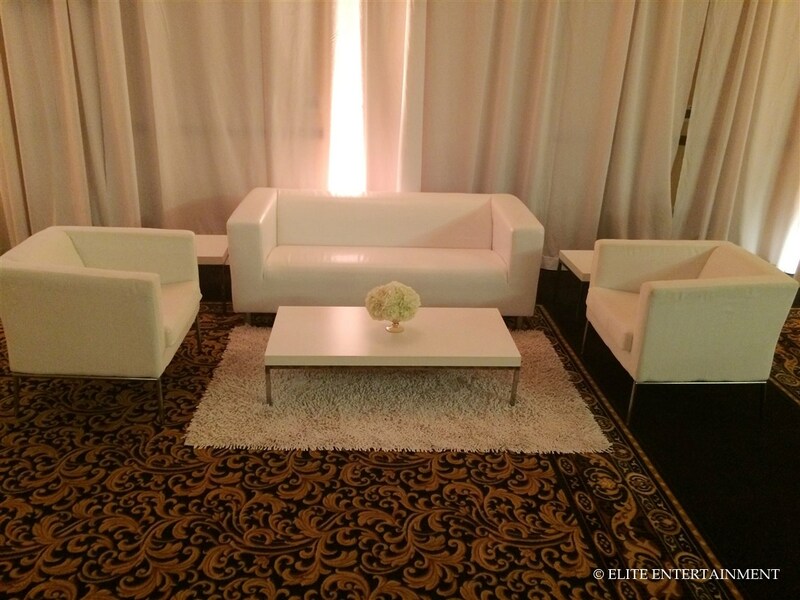 Amber and Josh used our lounge furniture, a new trend in weddings, so guests could relax their feet after dancing the night away to our DJ, Matt! To accommodate their large wedding party, Josh and Amber went with a tiered head table. 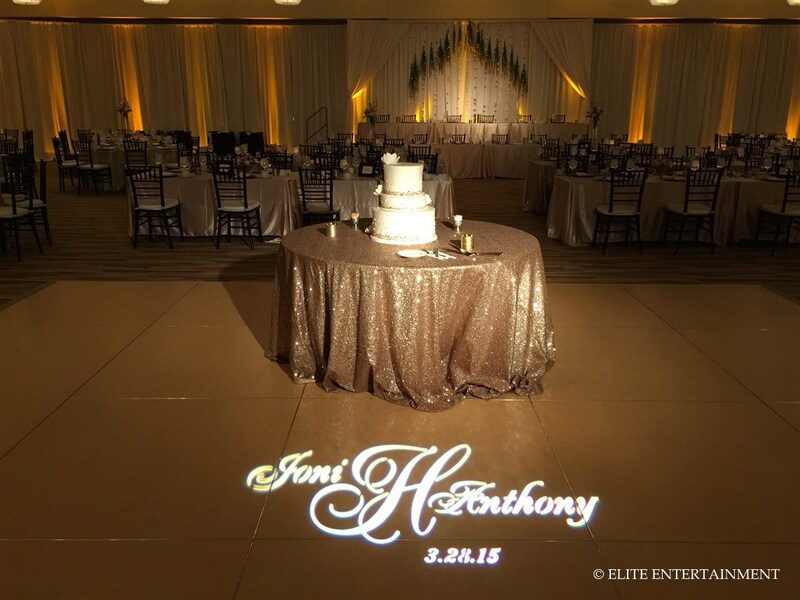 We placed their custom monogram behind the bride and groom to make sure everyone’s attention was drawn to them. To add to the fun, the couple also had a photo booth during the reception. This is a great way to get a lot of fun pictures! The guests always have a blast posing with our props and writing well wishes to bride and groom in a memory book! After the ceremony, the wedding party hopped in the Trolley and got a luxurious ride around the Champaign-Urbana area before heading to the reception. We are thrilled for Amber and Josh as they journey into the next part of their lives as husband and wife. From everyone at Elite, congratulations on your new marriage! 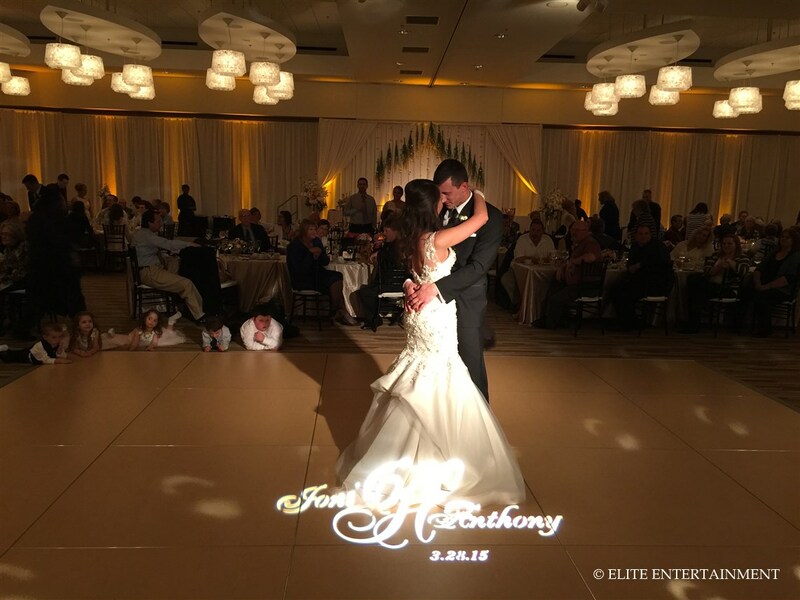 We are so happy to have been a part of your beautiful day! Joni and Anthony were the sweetest couple to work with! 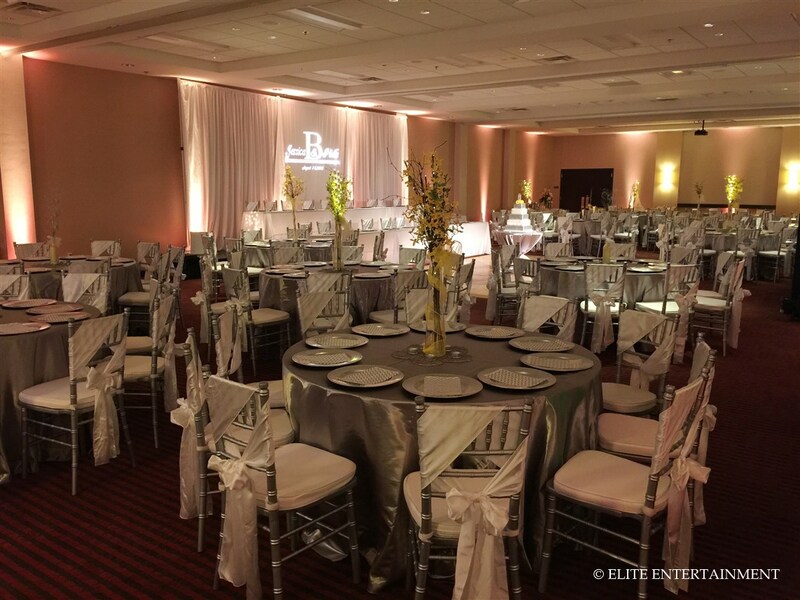 The Illinois Ballroom looked perfect for their special day. They chose a neutral color scheme of champagne, blush, ivory and touches of black. 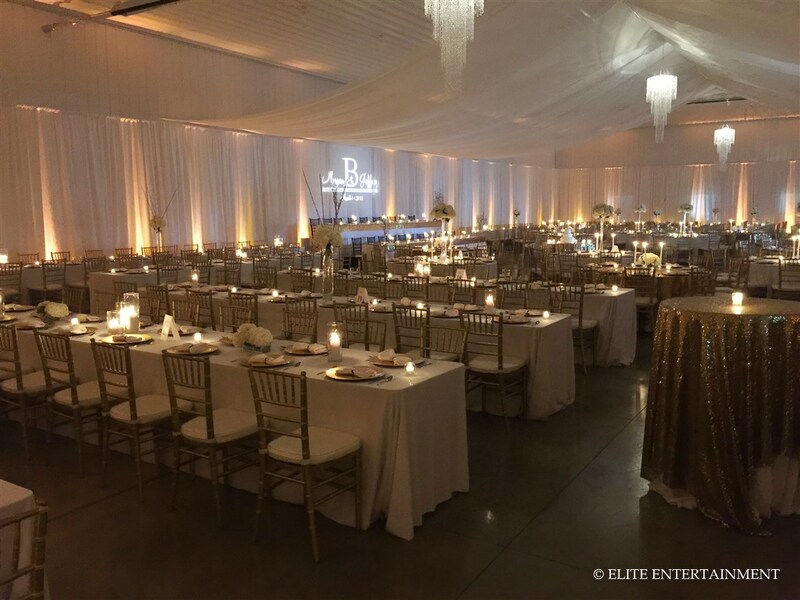 We love draping a room and pairing it with our amber uplighting to create a warm, inviting atmosphere. 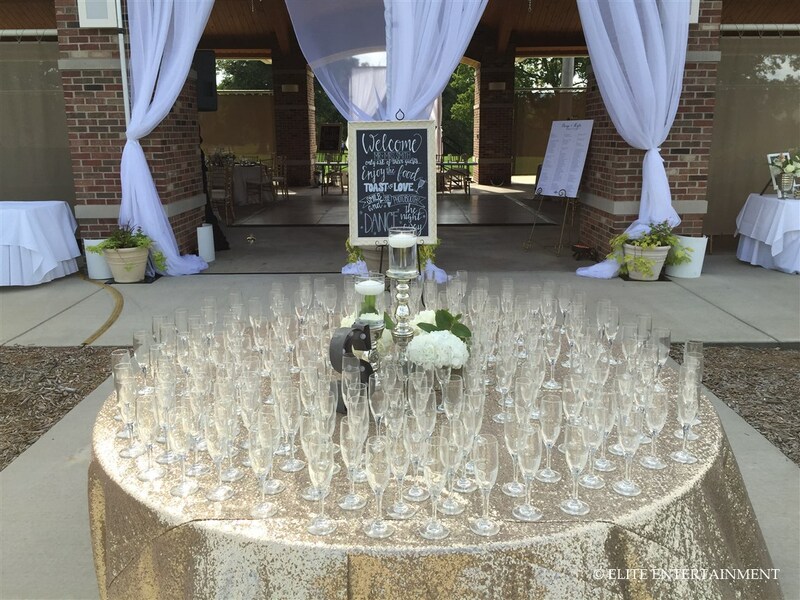 The champagne tables looked great with our black chiavari chairs and black chargers plates. The contrast of colors make a bold statement! They used tall and short flower arrangements throughout the room. The flowers were beautiful in blush pink. The whole room had a very soft, romantic feel. 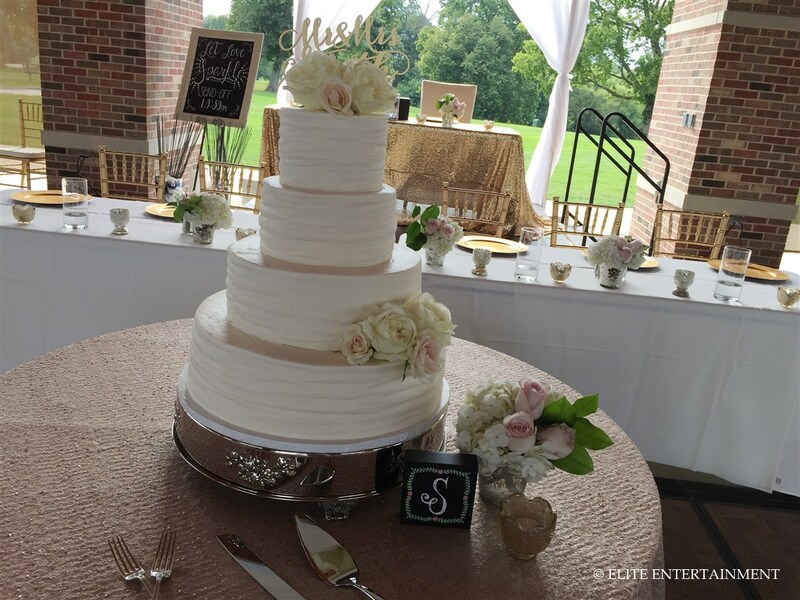 The cake table caught your eye immediately upon entering the room! 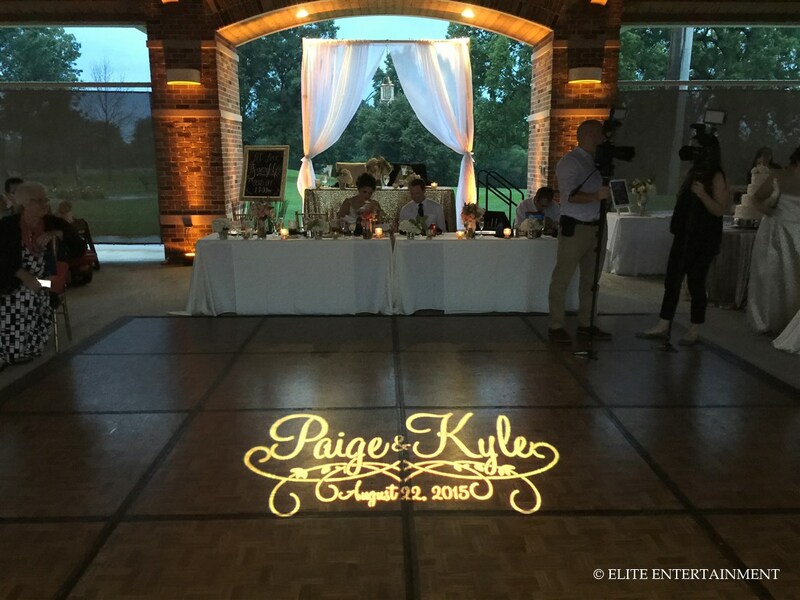 With the spotlight, sequined tablecloth and custom monogram, it couldn’t be missed! 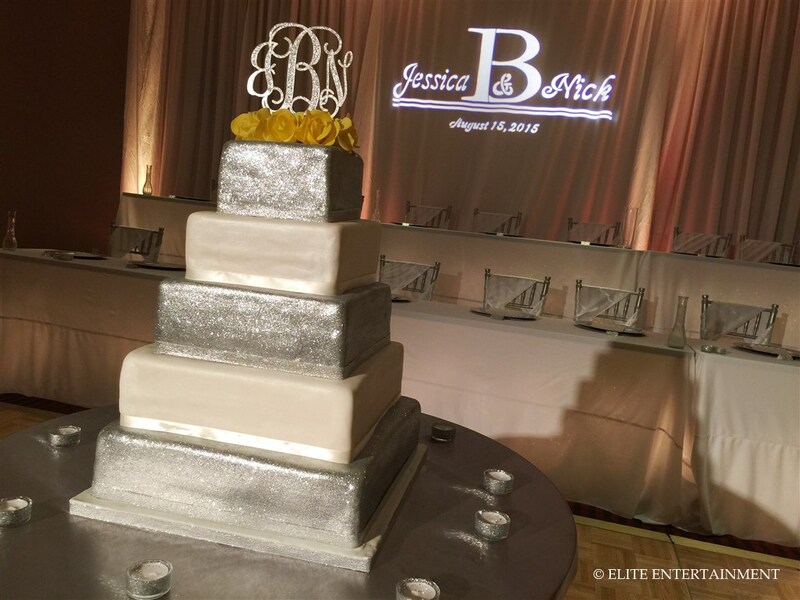 The monogram displayed the couples first names, last initial and wedding date in an elegant cursive font. One of our favorite features in the room was the drapery and flowers behind the head table. We swept the curtains to the side to display an arrangement of hanging flowers. We love how this unique design came together! We were so thrilled to have been a part of such a beautiful day for a great couple! We hope you and your guests had a wonderful time. We wish you many years of wedded bliss! Congratulations Mr. and Mrs. Hornbeck!! Jeff is not only our full time Event Operations Manager, but he also DJs for us on the weekends. 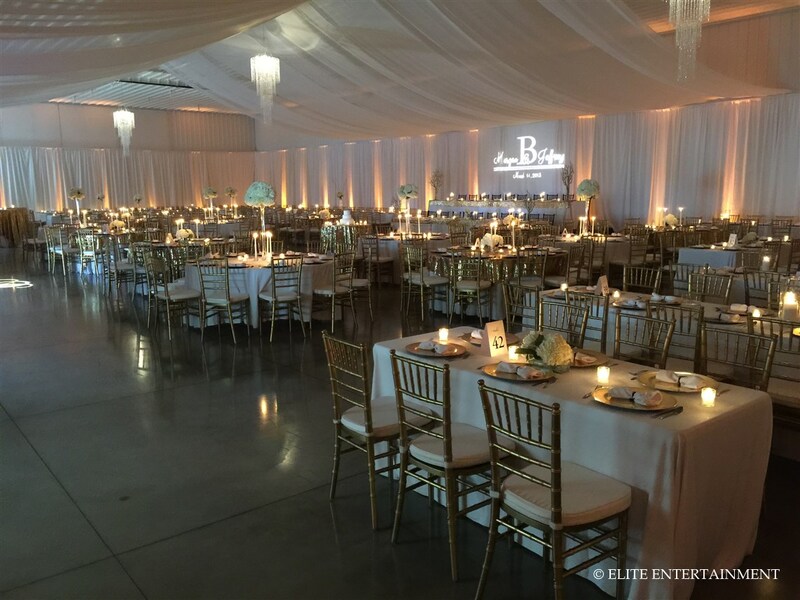 We were so excited to go all out for his wedding and make the space look amazing! The reception was held in Morgan’s parents new shed. It was the perfect place to hold their 500 guests! 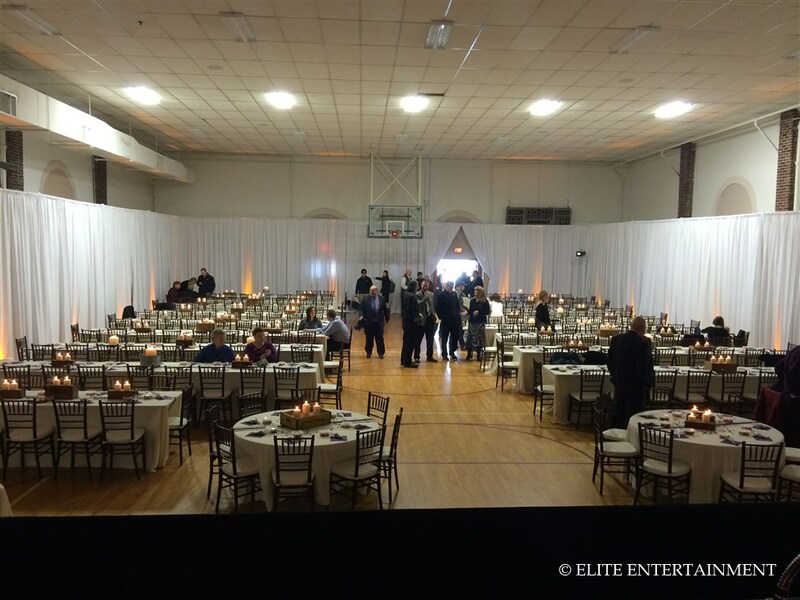 By draping the entire room and using amber uplighting, the space took on a totally different feel. You would have never known you were in a shed! 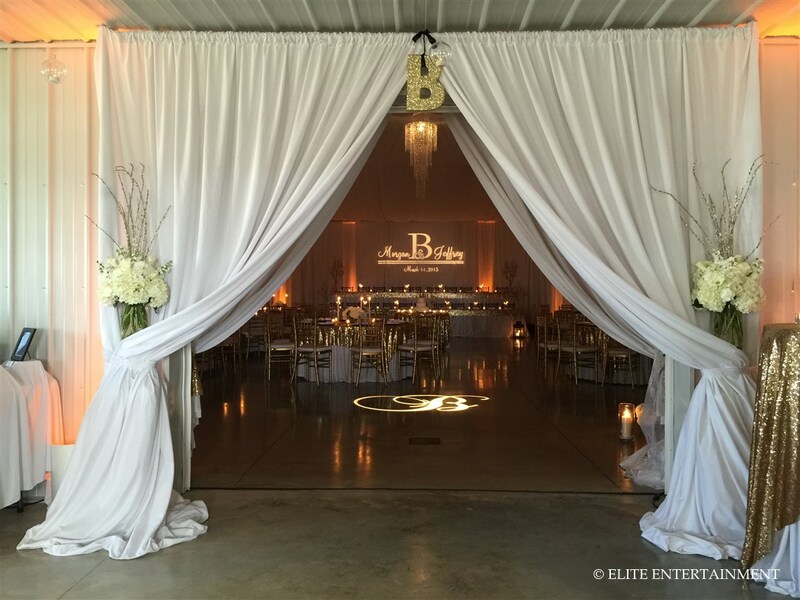 Upon entering the the main reception space, we draped back the doorway for a grand entrance. The room was so elegant in white, gold and black accents. 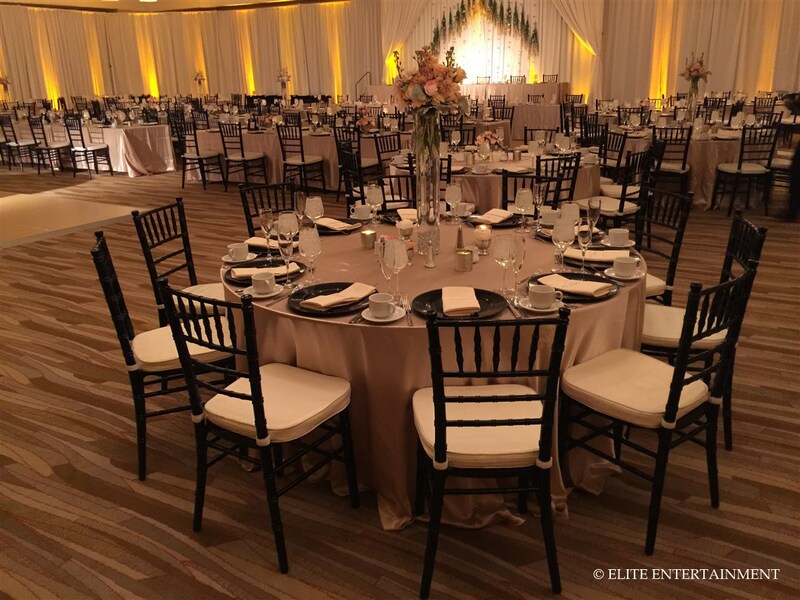 They used our gold chiavari chairs and white linens, then placed gold sequined overlays on their family and specialty tables. 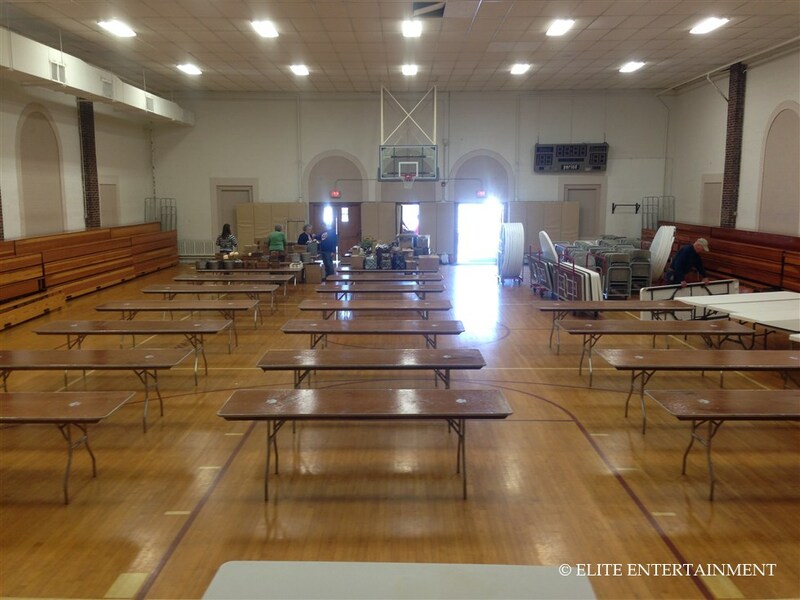 There was a mixture of both round and banquet tables which is a new trend we love! It allows for more guest seating and gives the space a unique look. 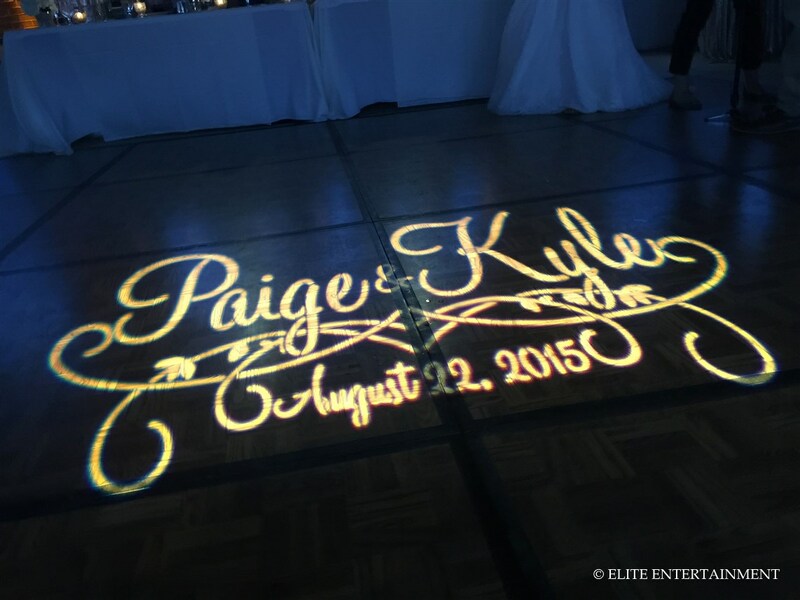 Their custom monograms caught your eye as soon as you entered the room! They went with a “B” that was placed on the floor as you walked in. 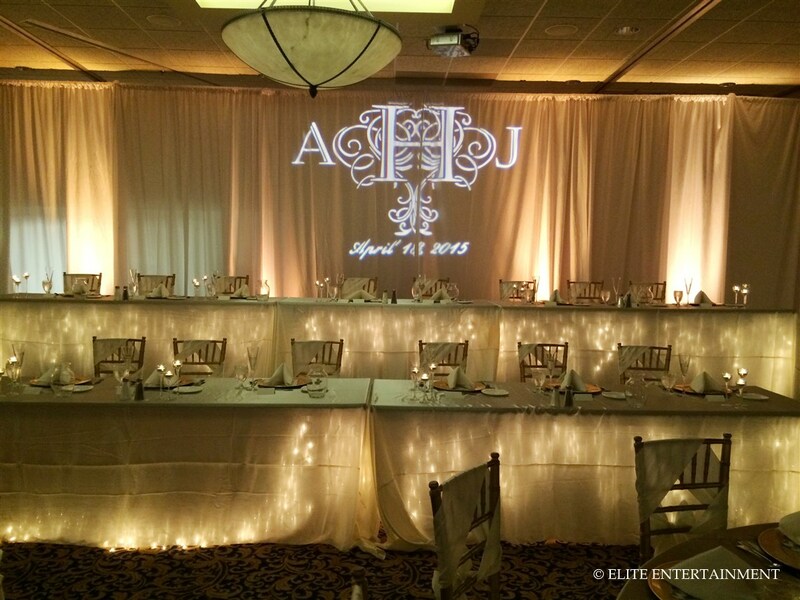 We positioned their second monogram above the head table. This one showcased their first names, last name initial and wedding date. 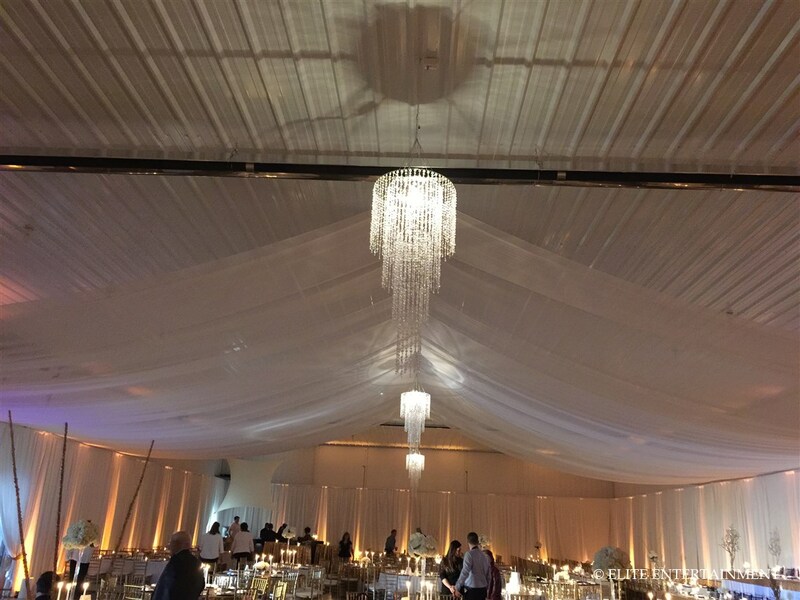 They used chandeliers and ceiling drapery to add even more elegance to the space. 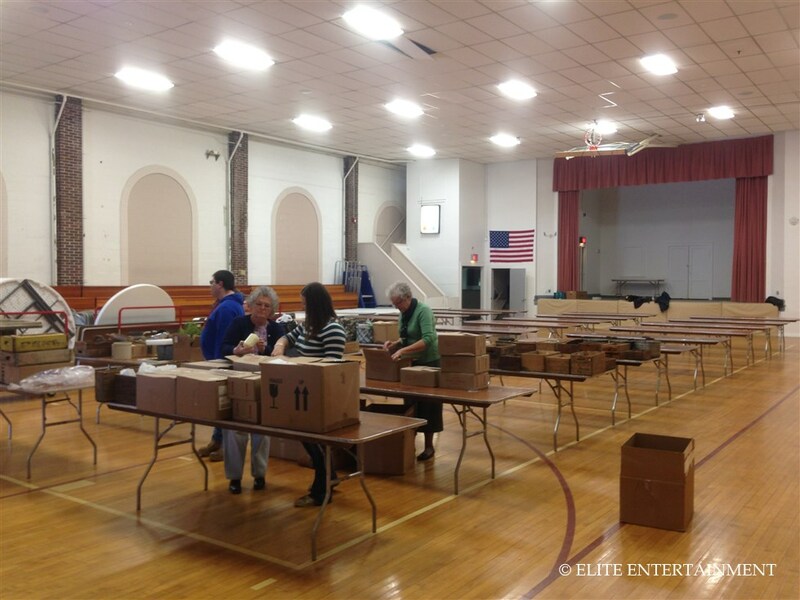 There were so many details that went into making everything come together perfectly! 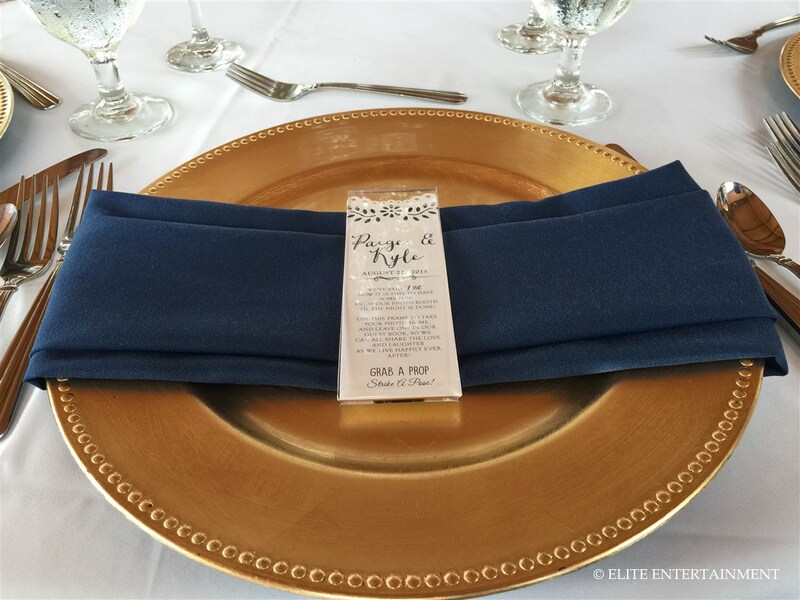 The napkins were even tied into bows and placed on each gold charger plate. Such a cute touch! They did a mixture of tall and short centerpieces with white flowers and used several candles on each table. The room glowed with all of the candlelight and soft amber uplighting. It went perfectly with the gold accents. Morgan even had her bridesmaids wear gold sequined dresses! We are so happy for Morgan and Jeff! They make the best couple and we are thrilled they are now officially husband and wife. From everyone at Elite, we wish you the absolute best in your new marriage! 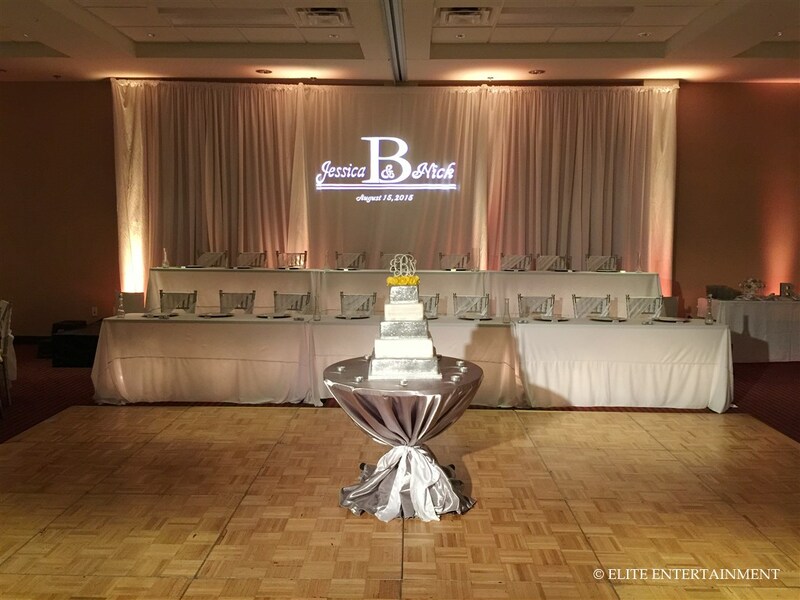 Thanks for including us in your special day!